The minister for defence and Nordic co-operation, Peter Christensen, met with his Nordic colleagues in Helsinki yesterday to discuss a co-operation regarding a better integration of refugees and immigrants. 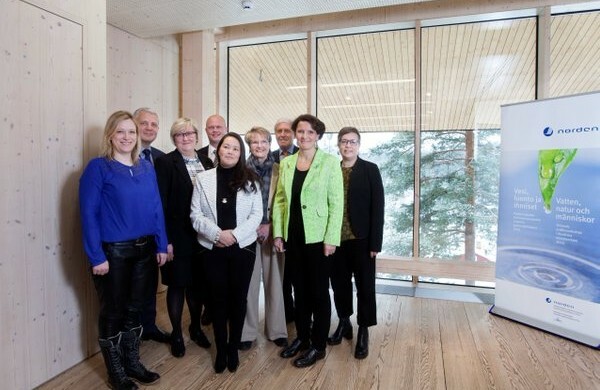 The ministers decided the Nordic Council of Ministers would facilitate an ongoing co-operation and meetings with experts and practitioners within the relevant ministerial areas – such as culture, education, health, equality and business. “Whatever our views on asylum policy, we can all agree it is important to integrate those who are granted residence permits,” said Christensen. The ministers agreed to set aside funds in 2016 to assist in reaching the strategy, which was established at the Nordic prime ministers’ meeting in Reykjavik last year. Other items of interest discussed at the meeting this week included the Nordic role in the EU and Arctic, next year’s budget, and future reforms. Aside from Christensen, representatives from Norway, Sweden, Finland, Iceland, Greenland, the Faroe Islands and Åland were present at the meetings. The meeting in Helsinki was the first of its kind since Finland took over as head of the Nordic Council of Ministers from Denmark on January 1.